Explanation: Lurking behind dust and stars near the plane of our Milky Way Galaxy, IC 10 is a mere 2.3 million light-years distant. 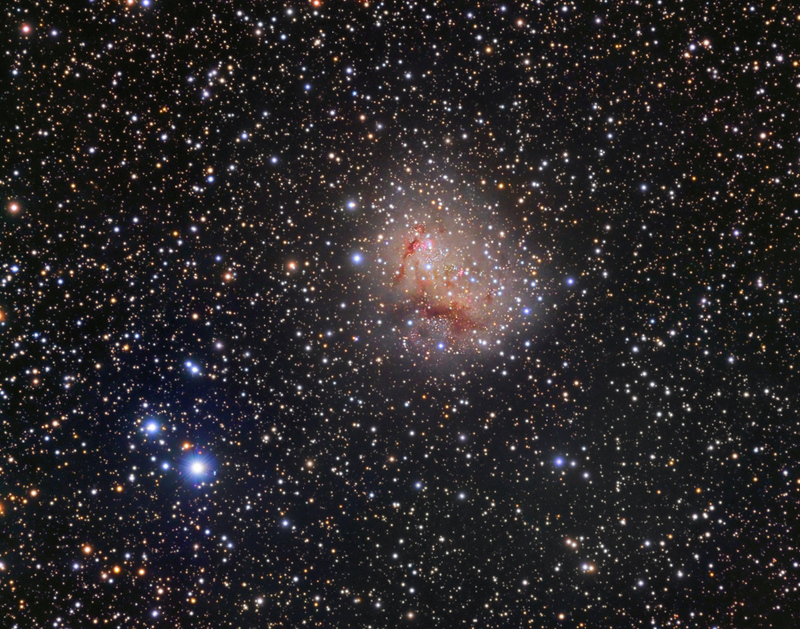 Even though its light is dimmed by intervening dust, the irregular dwarf galaxy still shows off vigorous star-forming regions that shine with a telltale reddish glow in this colorful skyscape. 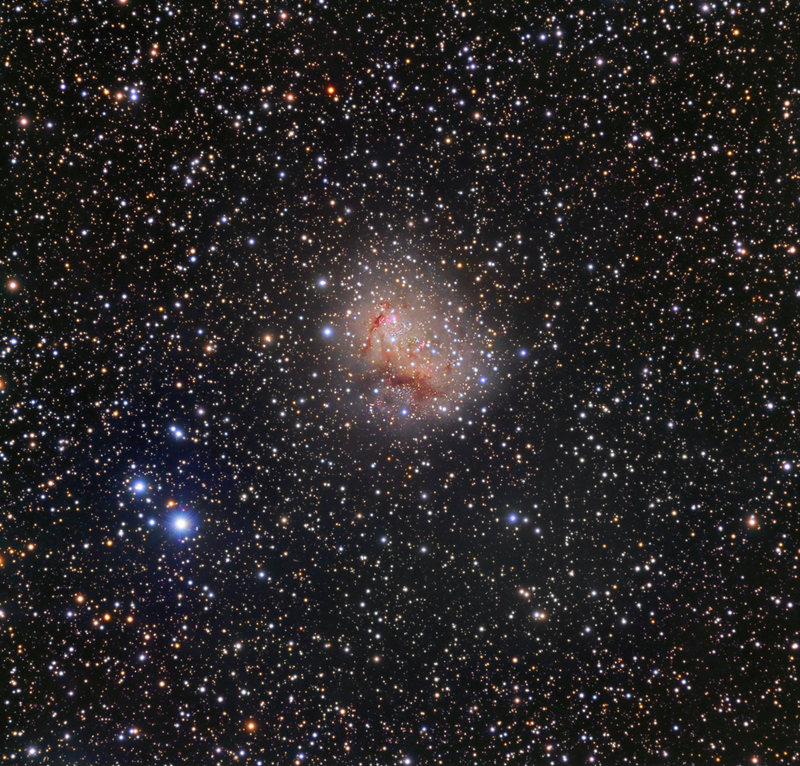 In fact, also a member of the Local Group of galaxies, IC 10 is the closest known starburst galaxy. Compared to other Local Group galaxies, IC 10 has a large population of newly formed stars that are massive and intrinsically very bright, including a luminous X-ray binary star system thought to contain a black hole. Located within the boundaries of the northern constellation Cassiopeia, IC 10 is about 5,000 light-years across.